Percy Waters was born in the city of Anniston, Alabama in 1888. Anniston is located in the eastern part of the state, about half way between Atlanta, Georgia and Birmingham, Alabama. The legend goes that Waters saw his first tattooing at the sideshows of the traveling circuses that would pass through his hometown. It was during this time Percy was learning the foundry trade of molder. Getting tattoo equipment (from an unknown source), Waters started tattooing the locals as a hobby. He would often travel so he could visit tattoo artists in other cities, but always returned to Anniston and his foundry job. In 1917 Percy Waters got into trouble for tattooing the wrong person and was told to leave town or else! After a brief stop in New York City, Waters settled in Detroit, Michigan where he stayed until the late 1930s. While in Detroit Waters built a very successful tattooing and tattoo supply business. Throughout the years Waters tattooed many attractions including; Bobby Smith, Red Van, Detroit Dutch, Shelly Kemp, Clyde Williams, Mrs. Ted Hamilton and others. 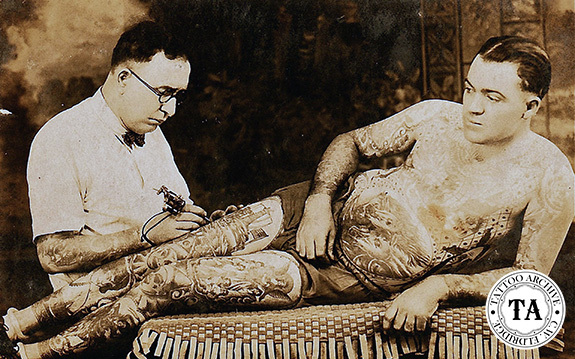 Although he modestly billed himself as, "Just a Good Tattooer", he was well known for his tattooing skills both in and out of the show business world. At that time, Waters’ supply business was probably the largest in the world. He advertised in many "men's magazines" as well as the Police Gazette and Billboard. 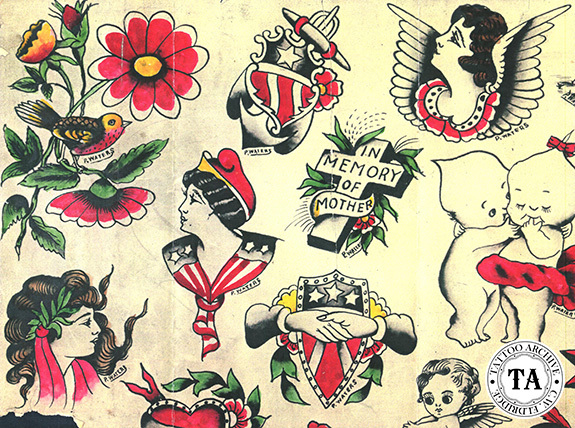 In the 20 years that Percy Waters worked in Detroit, he designed and manufactured many styles of tattoo machines. In 1929 he received a United States Patent for his machine ideas. In 1939 Waters left Detroit and returned to his home in Anniston where he ran his supply business until his death in 1952. Interested in learning more about Percy Waters and his supply business? Check out The Life & Times: Percy Waters booklet in our online store.